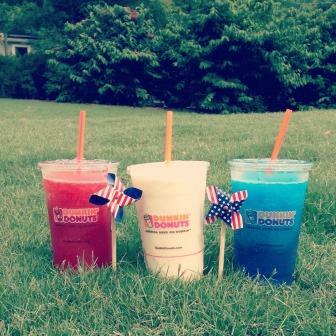 America runs on Dunkin’ and we’re here to help our guests celebrate America’s birthday this Fourth of July. 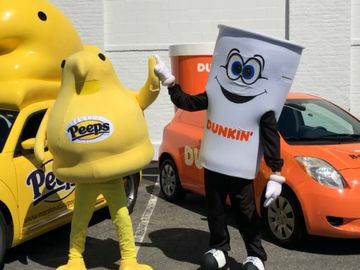 Whether it’s with our Stars and Stripes Donut, our Fourth of July and summer-themed mGifts, or our DDestination Mugs, DD is here to keep you running this Independence Day. Spread some Fourth of July patriotism with our Fourth of July and summer-themed mGifts. 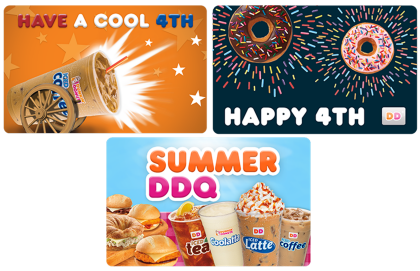 These mGifts are virtual DD cards that can be purchased through the Dunkin’ Mobile App, which is available for both iPhone® and Android™. 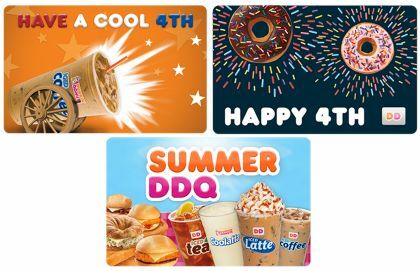 Simply go to the “Gift” toggle on your Dunkin’ Mobile App and select one of the three exciting Fourth of July-themed mGifts, a monetary value and the delivery method – text, email or Facebook. 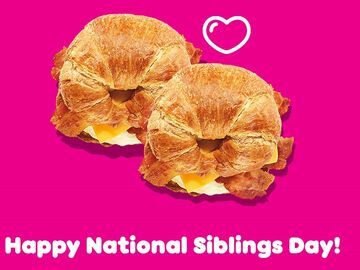 You can even add a personalized message to make your mGift unique. 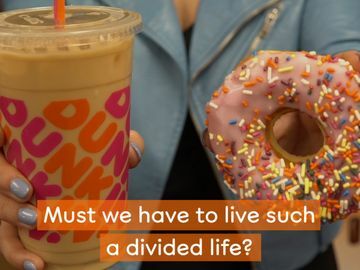 Celebrate America’s birthday with our Stars and Stripes Fourth of July Donut, offered for a limited time at participating U.S. Dunkin’ Donuts restaurants. 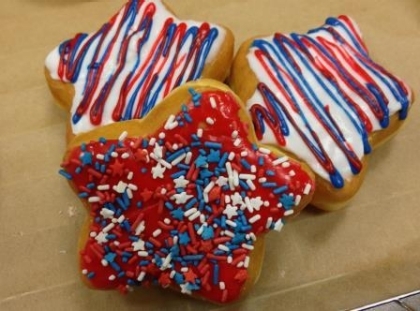 These star-shaped donuts are decorated in red, white and blue, making them a perfect treat to celebrate the holiday. Headed to a holiday barbecue or party and want to bring a gift? 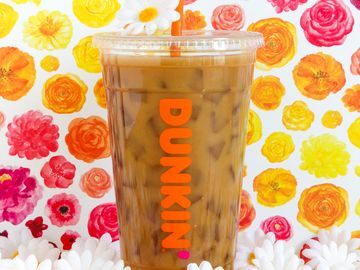 Our Dunkin’ Donuts DDestination Mugs, which come with a gift box, are wonderful gifts to give to a fellow Dunkin’ Donuts fan. 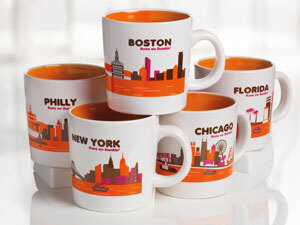 Each mug is illustrated with the skyline of a major state or city, and more than 30 states and cities are available to collect! DDestination Mugs are available at participating U.S. DD restaurants and online. The 14 oz. white and orange ceramic mug has a suggested retail price of $5.99 and fits the Keurig Elite Brewer. From our DD family to yours, Happy Fourth of July! How are you celebrating Fourth of July this year? Tell us on Facebook and Twitter!